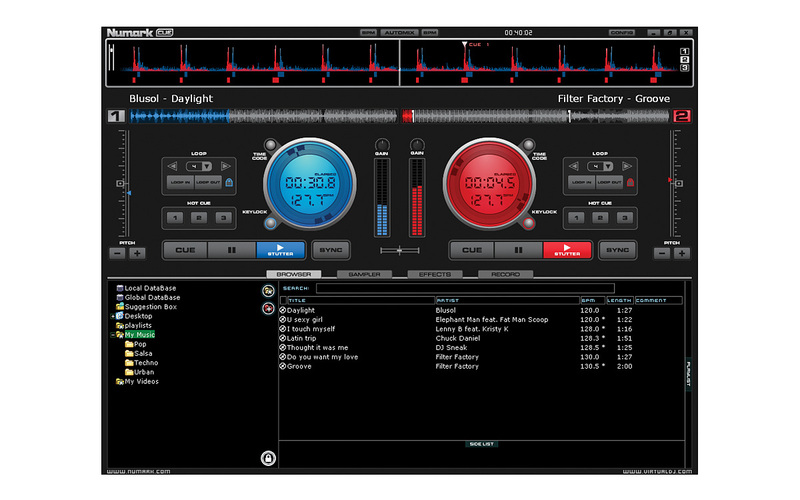 Numark Cue 7 is a version of VirtualDJ, a DJ console and DJ mixing software. ...... Output your masterpiece to a club's sound and video system. Use Numark Cue 7's built-in broadcast functionality to podcast on the web. Numark Cue 7 includes loads of new enhancements including FreeFrame plug-in compatibility, Smart Database management, and a powerful new Global Search function. Easily restores last visited web pages and all the content of the pages! THE Data Recovery bundle for operations on every system. Qweas is providing links to Numark Cue 7 2011 as a courtesy, and makes no representations regarding Numark Cue or any other applications or any information related thereto. Any questions, complaints or claims regarding this application Numark Cue 7 2011 must be directed to the appropriate software vendor. You may click the publisher link of Numark Cue on the top of this page to get more details about the vendor.